Jeff, Luke, and I will be visiting my mother this week, and will be leaving later this morning. I awakened at 3:30, obsessing about watering the lawn. I did so from 3:30 until 5:30, and then I (after unsuccessfully attempting to wake up Jeff and bring him with me) went to CFZ. As the temperature outside was only 70, I was able to open the garage door, turn on the fan, and work out in relative comfort. 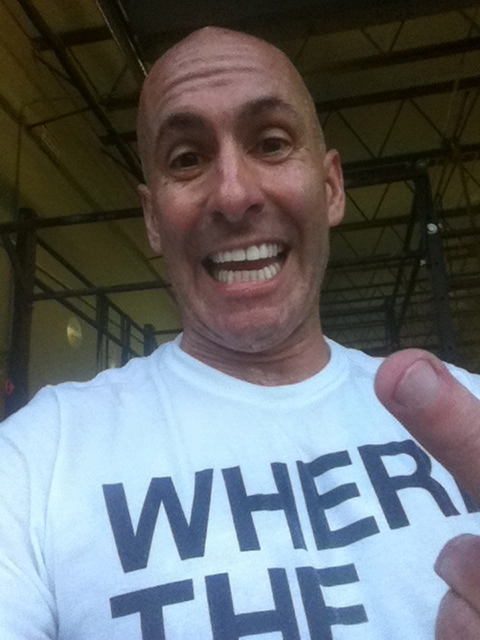 I posted the following to my Facebook timeline: Getting my WOD in before, you know, someone posts a picture of their car thermometer and/or asks me, “Is it hot enough for you?” I’m thinking “Cindy”. The WOD, not my sister. The last time I completed this WOD my score was 22+11. 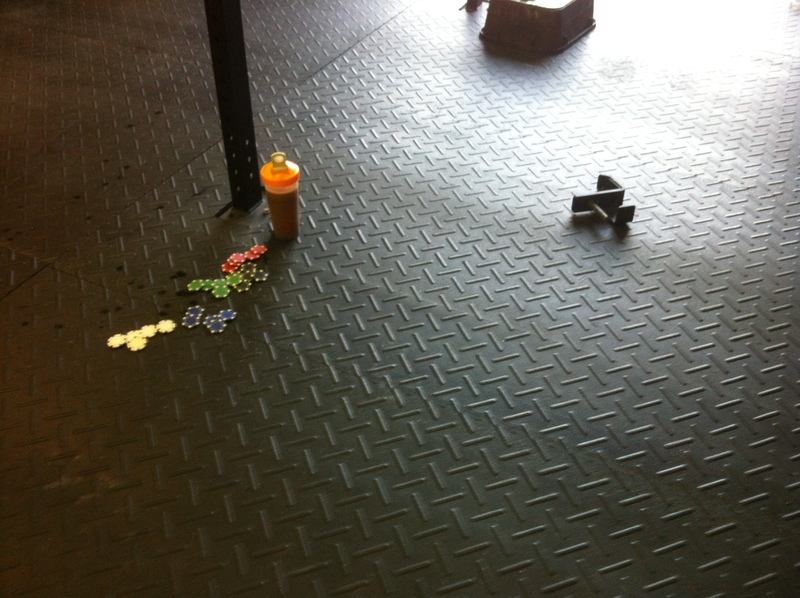 I spent 25 minutes on mobility, and then prepared myself for the benchmark WOD. 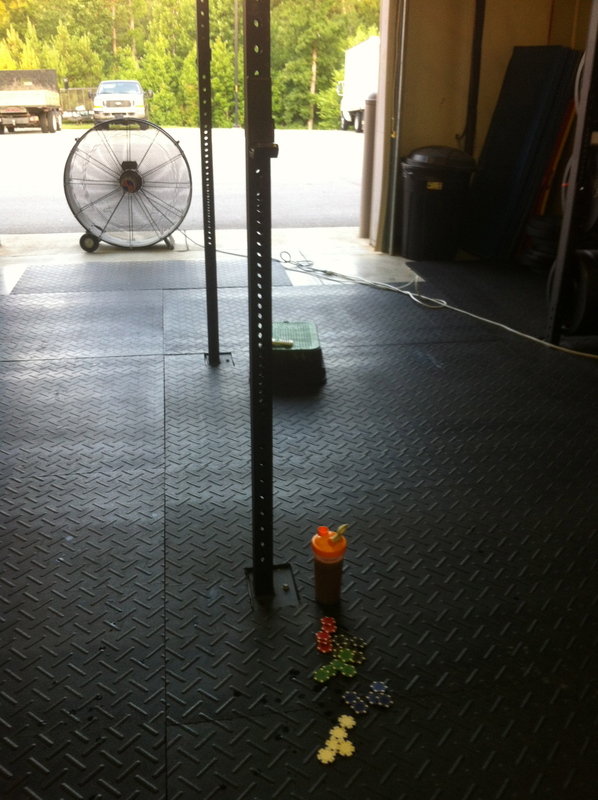 I completed the WOD at the pull-up station in front of the fan and facing the clock. I placed 5 stacks of 5 poker chips (each stack a different color) and my protein drink to my left, taped my hands, and turned up the speaker volume. I made two errors, although neither one cost me that much time. The first error occurred immediately after the very first round. I moved the first chip, stood up, and hit my head on the movable bar rack. I quickly removed the bar rack and continued. The second mistake was that I didn’t have the chalk nearby. As I didn’t want to waste any time, I didn’t chalk my hands one time during the workout. I’m glad that I’m taped them! While not a mistake, I did begin at a rather slow pace. 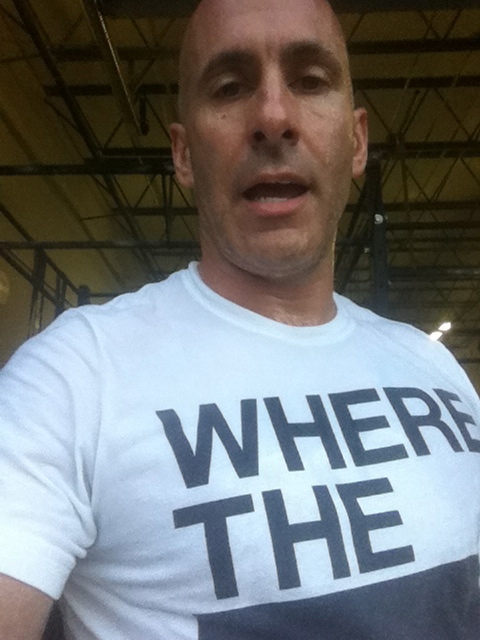 At the 10-minute mark I had completed 12 rounds & 3 pull-ups; thus, I knew I had to pick up the pace to achieve my goal. 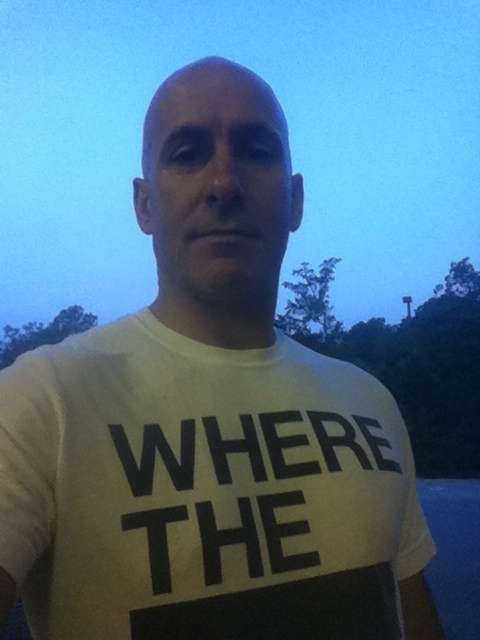 I did ensure that my chin was well above the bar for each and every pull-up, that my chest and cheek touched the floor and my elbows locked at the top of each and every pushup, and that I completed air squats with full range of motion. About those air squats… For whatever reason, I was having a difficult time using my arms in a coordinated fashion. Huh? For one brief moment I thought that I would not be able to complete 25 rounds. I really had to push through the last round, and I finished my last air squat with 2 seconds to spare. 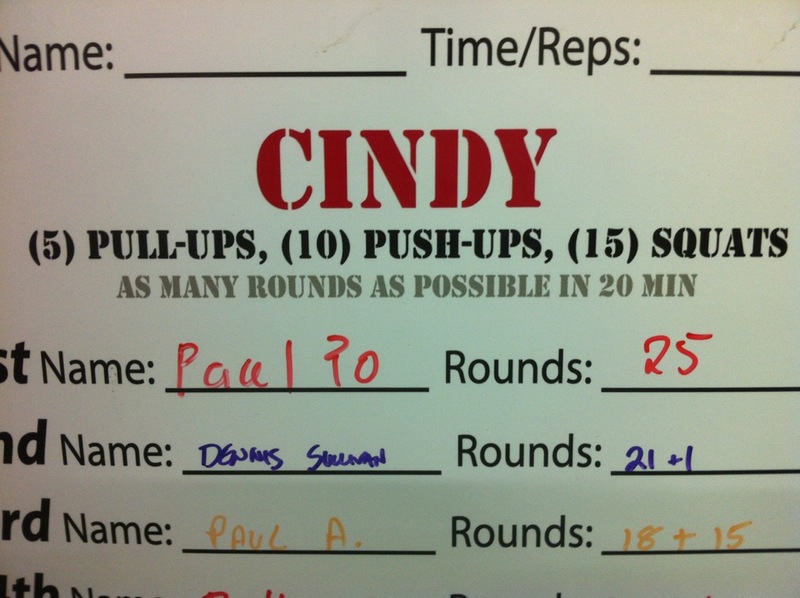 Yes, I completed exactly 25 rounds – a new PR! My new goal is to complete 26 or more rounds. In order to achieve this I will need to complete all rounds of pushups unbroken (which I could have possibly done today) and learn how to do butterfly kipping pull-ups. I wonder if my BVFFF, Michael Kelley, will help me learn how to do so. I’ll know if he responds to this post. 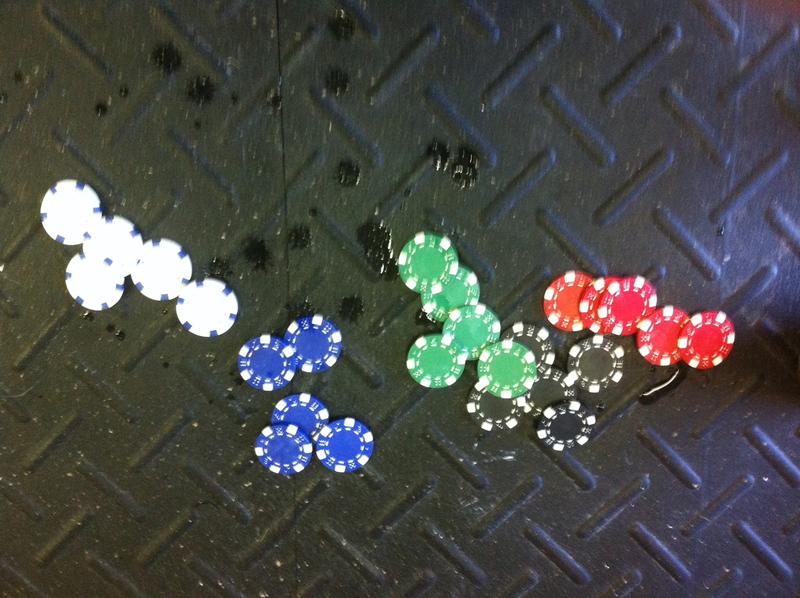 25 poker chips = 25 rounds!